MainOpEdsWould a change in PA leadership affect the Peace Process? Would a change in PA leadership affect the Peace Process? 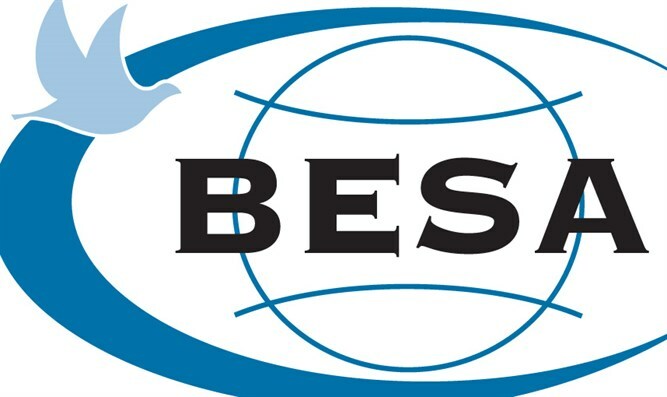 BESA joins the debate on the future of the post-Abbas Palestinian Authority. 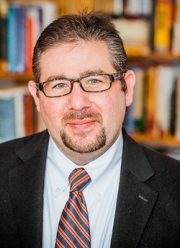 Dr. George N. Tzogopoulos (Ph.D. Loughborough University) specializes in media and international relations as well as Chinese affairs. Question: In 2005, Mahmoud Abbas was elected to a four-year term as president of the Palestinian Authority (PA). Thirteen years later he remains in the position without having held any further elections. While the date of his departure cannot be predicted, scenarios for the new leadership of the PA are already being examined. The Fatah movement and the PLO (Palestinian Liberation Movement) leadership are experiencing a deep internal and external crisis. In retrospect, Chairman Mahmoud Abbas has failed to lead the establishment of a vital and sovereign Palestinian independent state according to the 1967 borders. Chairman Abbas, who is now in the final stretch of his term of office, has three goals: to leave a legacy, to put policy guidelines in place for the future, and to select his political heir. In order that the issue of succession will not generate internal warfare in Fatah, the leadership must create a mechanism that will help the movement stabilize inner rivals in its high commend. We can assume that Abbas will do everything he can to influence the choice of his successor. A second important point: it seems that in the new, post-Abbas Fatah, the leadership is going to be more focused on Palestinian domestic affairs. After the election of Abbas’s successor, one can expect Fatah leaders to try to find an answer to Hamas’s challenge of historical birthright as leaders of the Palestinian national movement. Hamas would like to see reforms and elections take place in PLO institutions that would allow it to integrate into the PLO and take it over from within. This would allow Hamas to replace Fatah as leader of the Palestinian national movement and gain inter-Arab and international legitimacy. In the short term, a change in PA leadership will have only a small impact on its ability to move forward with the peace process. As long as the Palestinians are focused on their own domestic politics, the chances for progress in the Israeli-Palestinian channel are slim. At present, the issue of change is hypothetical. Abbas shows no sign of either abdicating or designating a successor and no gumption to take a leap forward on either the issue of Israel as the state of the Jewish people or the right of return. In the longer term, of course, an alliance between pragmatists such as Jibril Rajoub, the former head of preventive security in the West Bank; and Majid al-Faraj, the chief of general intelligence (provided they prevail over other candidates) could pave the way for a Jordanian-Palestinian federation, which is the only feasible option for the inhabitants of the Palestinian Authority. Rajoub and Faraj share a common security background and have both cooperated with the Israeli security structure. They share a commitment to governance at the expense of ideology, as well as a mutual hostility to Hamas — particularly to Muhammad Dahlan and jailed Fatah leader Marwan Barghouthi, who would be their chief rivals for Abbas’s mantle. The succession will entail conflict and instability. Consolidation will initially take priority over peacemaking. Instability might have its virtues, for the more unstable the situation, the more palatable a federation between Jordan and the Palestinian Authority will become. Yes. The current leader of the Palestinian Authority, Mahmoud Abbas, has failed to create pressure on Israel to change the status quo. This failure is evident on a number of fronts. Abbas had an opportunity in 2014 to accept a fair and reasonable peace plan presented to him by President Barack Obama, which would have put pressure on Israeli PM Netanyahu to either accept it as well or take the blame for the failure of peace talks – at a time when Obama still had more than two years left in the White House and there was a Democratic majority in the US Senate. Instead of doing that, Abbas left Obama’s plan unanswered, saving Netanyahu from a perilous political moment. On the other hand, Abbas has pushed back against attempts from within his own party to encourage significant civil unrest in the West Bank along the lines of global civil rights movements. By depressing such efforts, he has helped Israel avoid a major international headache. A new Palestinian leader who would be willing to openly accept a plan like the one proposed by Obama, and who would encourage the Palestinian people to take to the streets in support of such a plan and an end to the occupation, could challenge Israel – and perhaps even initiate a change in Israeli politics. 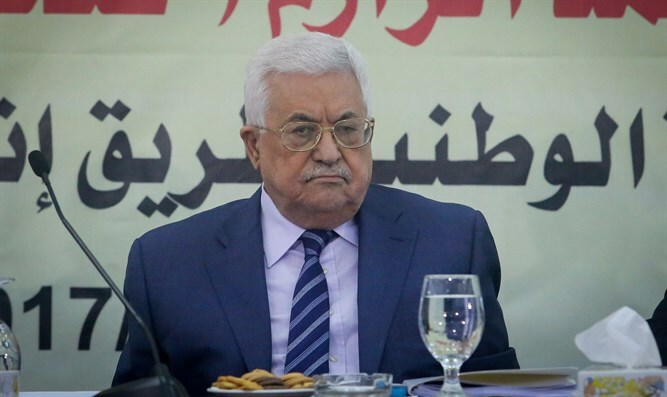 In January, the 82-year-old Mahmoud Abbas marked his 13th year as chairman of the Palestinian Authority (PA), an achievement in the sense that the original term was four years and he has consistently derailed any further elections. When a new leader is appointed or seizes power, will he have the ability and courage to promote peace between Palestinians and Israelis? Abbas, like Arafat, understands the need to promote the notion of a Palestinian state as a way to show readiness for a farewell to arms. However, pragmatically speaking, Palestinian statehood would force the Palestinians to give up the Nakba narrative they have been carrying as a “badge of honor” for over 70 years. Consequently, world opinion would be forced to judge them as a state and not as an underdog. This, of course, has not been the chosen path. Moreover, Palestinian self-determination has never seen the conflict as one between two national groups with legitimate claims and aspirations. Israel’s existence – indeed, Zionism itself, the very idea of Jewish nationalism – is regarded as wholly illegitimate. Palestinian acceptance of the two-state solution was a means of appeasing the West, which desired all parties to live in peace according to democratic, national ideals. However, for Arafat in his day and now for Mahmoud Abbas, the two-state solution is an instrument with which to buy time until the Palestinians can finally overcome and defeat Israel. The reality is that tactics like unilateral statehood through UDI and other antics have been used to internationalize the conflict and thereby avoid real talks with Israel. Further, they give Palestinian leaders a halo of “normalcy” that undermines every accepted model for peace, even according to UN standards. Unilateralism was never the modus operandi, but rather, mutually agreed-upon concessions by all parties as illustrated by UN Security Council Resolutions 242, and 338, the Oslo Accords, and the Roadmap for Peace. The Palestinian legacy is rooted in their determination to reject statehood and accept a Jewish state. Talk is cheap. Land and lives are costly. If the Palestinians genuinely want to talk about statehood, any future leader will need to come to terms with accepting and recognizing Israel, get the Palestinians’ own territories under control, stop firing rockets at Israeli towns, and start creating a functioning civil society. Most of the decisions made by the Palestinian Authority are designed to either keep the current leadership in power or to spite Israel. Leaders are judged on how they stand up to the Jewish state, not on how well they govern. The leadership organs and governing structure of the Palestinian Authority (in its current form) are based on a Fatah-centric amalgamation of corrupt kleptocrats and their sycophants. Expecting the resignation, death, or removal of Mahmoud Abbas to change the way the PA operates is naïve. Real change in the PA must come from the bottom up. The local authorities that control major Palestinian population centers must be either directly elected or appointed by the Israeli authorities. New leadership should be selected on merit and desire to improve Palestinian daily life; it should not be based on party preference (which would eliminate Hamas, Islamic Jihad, PFLP, or Fatah candidates). It should emanate from the Palestinian security forces, civil society, and major Palestinian clans and families. Only Palestinian leaders who are committed to working with Israel to establish their own polity, society, economy, and culture – people who are not focused on rejecting Israel – should be allowed to rule. Setting up a Palestinian entity forged with the goal of developing their own independent governing institutions that build a Palestine in the West Bank and Gaza should be the preferred solution, not replacing one rejectionist with another. Mahmoud Abbas has lacked the courage to make the decisions required to move the peace process forward. Nonetheless, he remained firm in his commitment to non-violence and security co-operation with Israel, which is regarded positively within the Israeli security establishment. Of the candidates for the succession, Muhammad Dahlan would probably be the most inclined to enter negotiations under a regional umbrella, due to his ties to the UAE. This idea has been discussed intensely by Israel, Egypt, the US, and representatives from the Gulf. However, Dahlan lacks support in the West Bank. Of the other candidates, Gen. Majid Faraj, head of the General Intelligence Services, is considered by the US as most likely to continue security cooperation with Israel and thereby maintain stability. However, once Abbas leaves the stage, the struggle for the leadership is likely to be vicious. In this competition, it is quite possible that some of the candidates will seek to brandish their nationalist credentials by encouraging violence against Israel. In any case, a moderate stance towards Israel is unlikely to be viewed as garnering a political advantage within the West Bank, so the likelihood of diplomatic progress is low, and security cooperation may come under pressure too.